Are you in a vacation in the wonderful town of Phuket, Thailand? When it comes to visiting other countries, especially Asian countries, searching and tasting authentic food is one of the best things to do. Since you are in Phuket, you are probably wondering what things to do and where to go to get a taste of an authentic Thai food. But before that, here’s a little introduction of the town. Phuket, as mentioned above, is an island. It is located within the Andaman Seas south of Thailand. The town of Phuket is popular to tourists for its world-renowned beaches and resorts as well as the local food and restaurants. The island has a lengthy trade history with other countries including India, China and Portugal which makes it one of the most culturally diverse locations in Thailand. It is in Phuket that you’ll find marvelous Thai food, Chinese food, Malay food and Indian food you have ever tasted. When it comes to authentic Thai dining experience, Old Siam Authentic Thai Restaurant is one of the most popular in Phuket. Located along the Nakalay Beach, here you can enjoy a wonderfully authentic Thai dining experience in such a great atmosphere. Their signature dishes include traditional Thai prawns with sweet curry red sauce and Choo Chee Goong Nang dish. 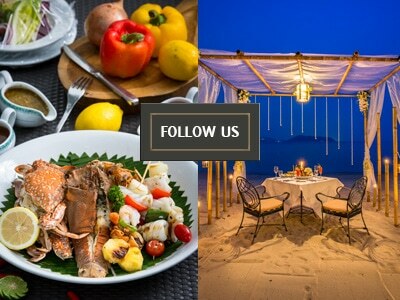 The perfect beach dining atmosphere also makes for one of the most romantic dining experiences in Phuket. One of the restaurants in Phuket that offer you a really great fine-dining experience is Mom Tri’s Kitchen. They take pride on having one of the country’s finest wine cellars. Here, you can enjoy authentic and skillfully prepared Thai food. Some of their best selling dishes include the som tam or green papaya salad and fish dishes that are simply excellent stuff. If you are looking for Phuket restaurants with amazingly night party atmosphere, the Ka Jok See Restaurant is one of the best and popular. The restaurant is one of the longest-running food places in town where you can expect authentic, traditional Thai dishes with a bit of twist here and there. If it is simple and uncomplicated restaurant with top-class Thai food at reasonable prices that you are looking for, Suay Restaurant is the perfect place. Suay is one of Phuket’s quality places to eat some of the most delicious Thai dishes you could ever taste. One of their best sellers is the braised beef with sweet Thai green curry. Talad Kaset is not a restaurant but a fresh market. But if you are looking for local cuisine, this is one of the interesting places to visit. Not only can you find here all the ingredients you will need for local cooking but the place also features many local stalls that serve authentic Thai food like southern Thai curries, Phuket style dim sum, sweets and snacks and more. There are a lot more that Phuket can offer you when it comes to food and restaurant places. When you visit the town, you will see many beautiful places that will surely make Phuket one of the best places you’ve ever visited.